May 23rd's Wii exclusive Super Mario Galaxy 2 has not just a release date and a trailer, but Planet Mario, some screenshots and some bullet points worth sharing. Or is that Planet Luigi? Hard to tell. 1) "Every level is new," allaying concerns that Galaxy 2 would recycle a lot of the first Galaxy's content. 2) Mario can ride Yoshi in "some stages"
3) Yoshi can eat a Dash Pepper to run up vertical walls and Blimp Fruit to float like a balloon. 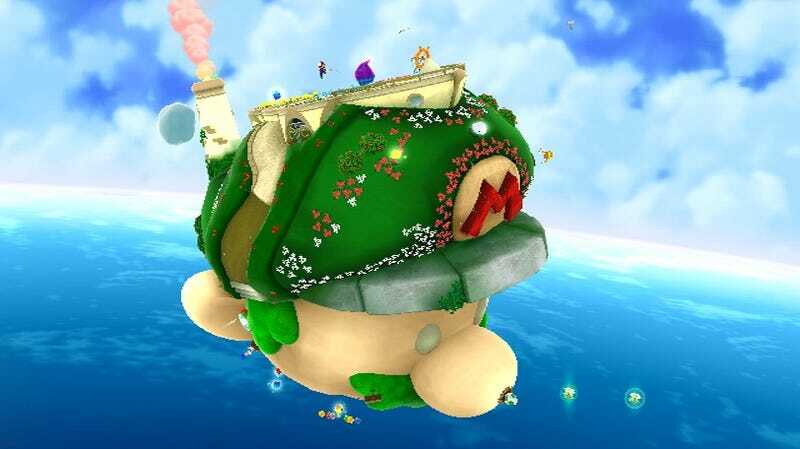 4) Mario can drill into planets. 5) "Skilled players will want to collect new Comet Metals, which will unlock harder levels with even more challenges." 6) The game supports 1-2 players, though no details yet as to whether that indicates anything more than one person playing as Mario and the other assisting with control of a helper cursor, a la the first Super Mario Galaxy. Our man in San Francisco will have more details of the game once Nintendo's late-night press embargo for hands-on impressions lifts.